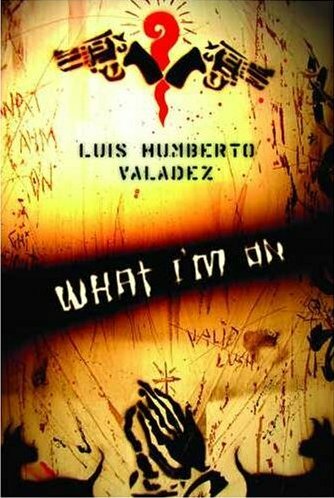 LUIS H. VALADEZ’S debut collection, what i’m on, goes deep into the circumstances of growing up Latino in the suburb of Chicago Heights, Illinois, and emerges with a rich examination of personal history that is both evocative and experimental. this work wrestles with itself, despite the temptation to project tar. I give you what I have to give. Valadez’s speaker continues to wrestle between the details of his life against the decisions forced upon him. The modern urban environment is filled with similar stories but Valadez’s poems rise above these common tropes with bold leaps into experimental and fractured narratives that look to bring together the disparate pieces of the speaker to help him reach a new path. Bouncing between scenes of a distressed childhood in Chicago Heights and astrological images, Valadez looks for the answers to a new path both within himself and in the stars with poems that dissect the various sections of his city with different astrological locations. This is where Valadez’s collection loses the momentum of its opening frame and makes the reader work to piece together the entire history of the speaker by making vague references to the past distracting from the strength of his narrative. The strongest and most unexpected poem in the collection “Stabbed in the Neck” is the poet penning his own obituary. on his seventy-one-year-old mother’s garage. Poems of this nature typically draw from the Mikey Piñero “A Lower East Side Poem” aesthetic, where the poet romantically outlines the details for their funeral. There is no such romance in Valadez’s poem; this account reduces the speaker/victim to snippets from a note found next to the deceased’s body, which serves as his last writing, and observation from the detective at the scene. The detective even has to address a ludicrous question about whether the victim was murdered or killed himself because the details of the final note lead the press to believe no one could make it through such a life. Valadez dispels the urban trope of the noble glorious gangster death with a more probable and dour recounting that is effective and striking. By going past the surface story, staying grounded in his surroundings and unflinching in his personal observations, what i’m on is a strong first book of poetry that delivers realistic insights and defines a new urban poetics.